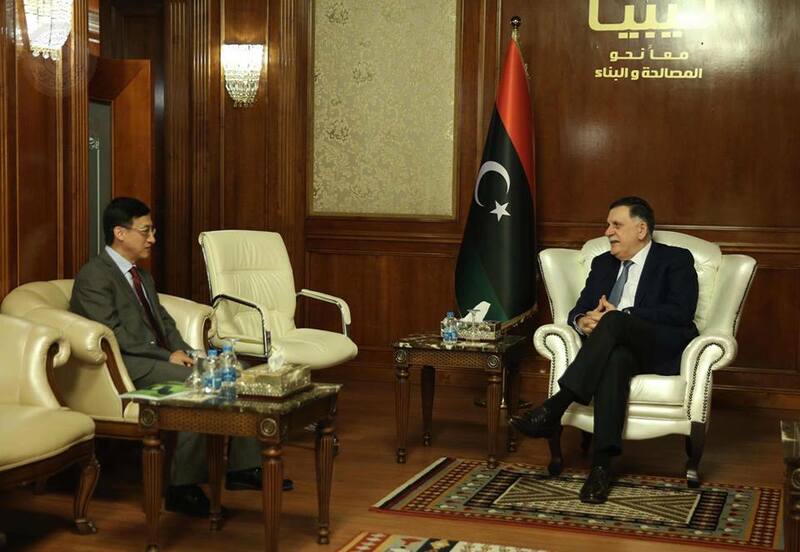 The Chairman of the Presidential Council (PC) Fayez Al-Sarraj received Sunday at his office, China's Charge d'affaires in Libya Wang Qimin. The meeting reviewed the agenda of the China-Africa Cooperation Forum to be held this month in China, which Al-Serraj is due to take part in, during his visit to China to activate the agreements and memorandums of understanding signed between the two countries and enhance bilateral cooperation, to meet the needs of Libya in various vital areas. The two sides also discussed the quick return of Chinese companies to resume their work in Libya, according to the Information office of the PC.